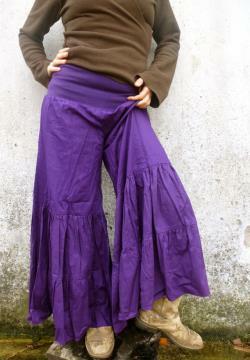 These funky flares have a comfy cotton lycra stretch waist band , and are made from cotton poplin fabric. 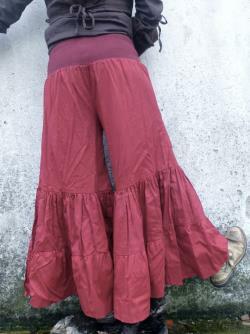 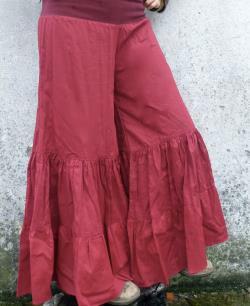 The wide waist band amkes them super comfy to wear and they can be layered under anything to look like a full gypsy skirt. 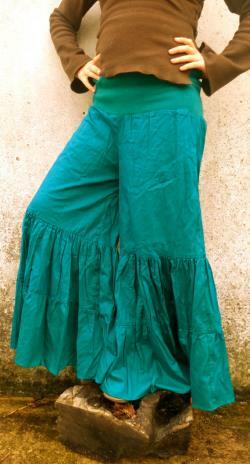 There is alot of give in the waist band so an stretch to various body shapes.